Sometime back I posted this pic on my INSTAGRAM "superprincessjo"
Boil the water and add the tea or coffee powder and make a mixture. Let this mixture soak for a few hours. Strain the mixture to remove any particles of tea or coffee. Place the henna powder into a plastic or glass bowl and add eucalyptus oil. Now slowly add the tea/coffee mixture a little at a time and stir the mixture. Use the spoon to press the powder and water together. Make a smooth paste of the henna powder. Allow the paste to stand for 6 to 12 hours. The longer you allow the paste to stand the smoother the mixture will become. Now apply this paste in any design you want and wait till the mehendi is dry, but not cracking. 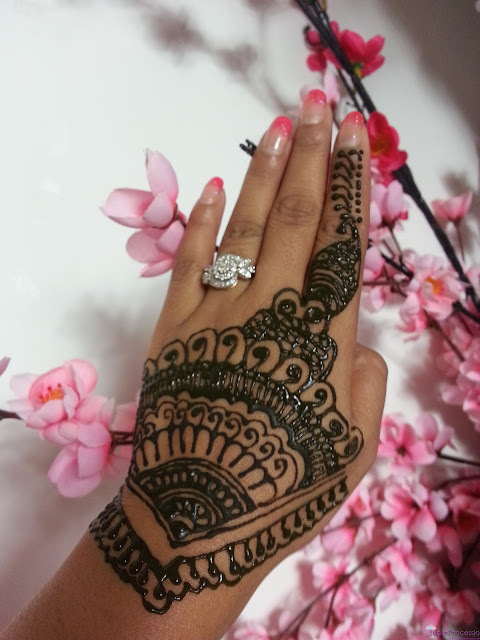 Take a cotton ball and dab a little lemon-sugar glaze to keep the henna moist. 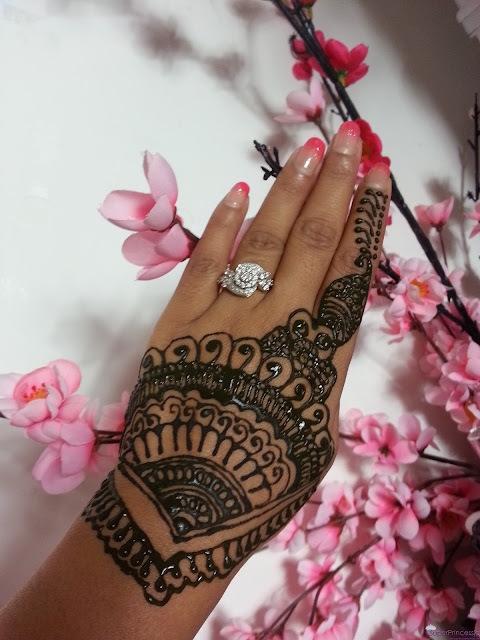 Keep the henna on for as long as you want. 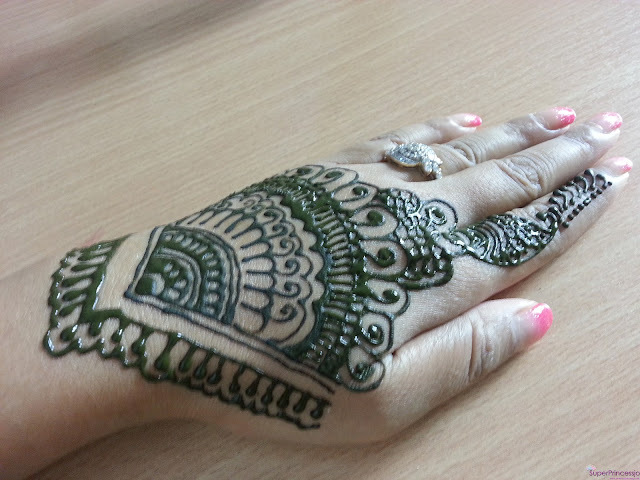 After you remove the henna paste design from your skin, try not to wet the area for as long as possible. It is best to leave henna overnight. 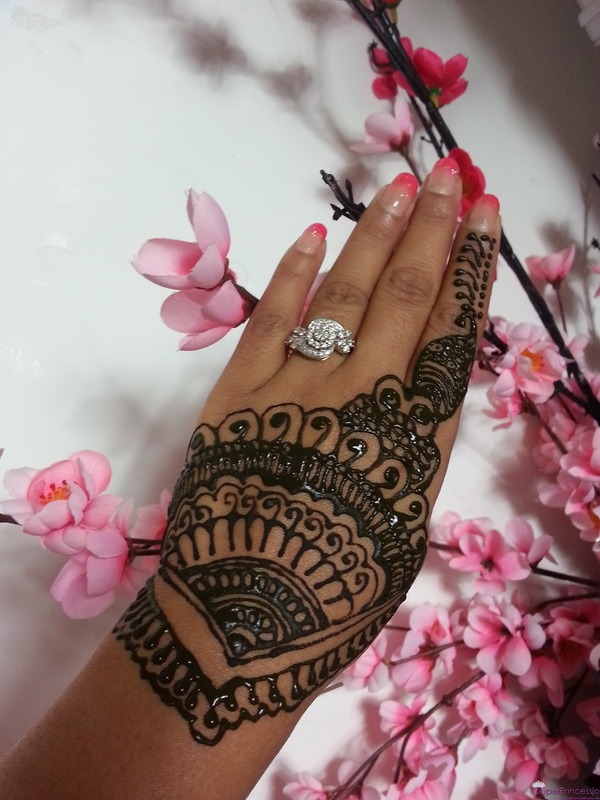 Using lemon-sugar glaze will ensure that the mehndi stays overnight. Lemon-Sugar Glaze:In strained juice of ½ lemon add 1 tsp of sugar, mix well.